We are very excited to offer this brand new bushcraft/sea kayak trip which will team up our very own 'Wild Food' kayak guide Ben, and a bushcraft specialist. 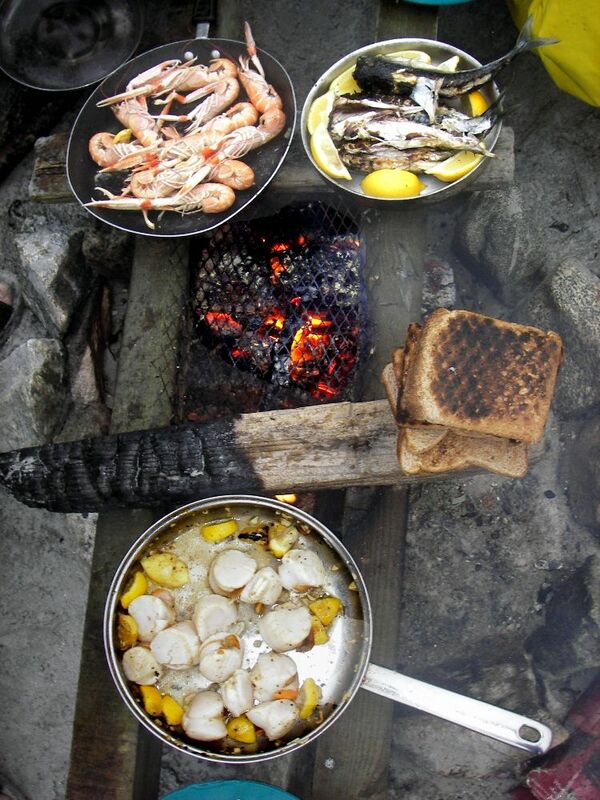 The trip will explore the very best areas around Barra by kayak and mix this with wild food, survival and bushcraft skills, with the aim of learning both specialised and unique improvised skills. The scenery is breathtaking with hills that tumble down to the sea, and islands fringed with brilliant white sands in a clear turquoise sea. We will take time to explore rocky coves and inlets and allow curious seals to drift over to us. If we are lucky we may see basking sharks at close quarters and glimpse otters hunting along the shore. *This trip is a mix of 3 nights camping and 3 nights lodge acommodation. It is our wild camping trip most suited to beginners.